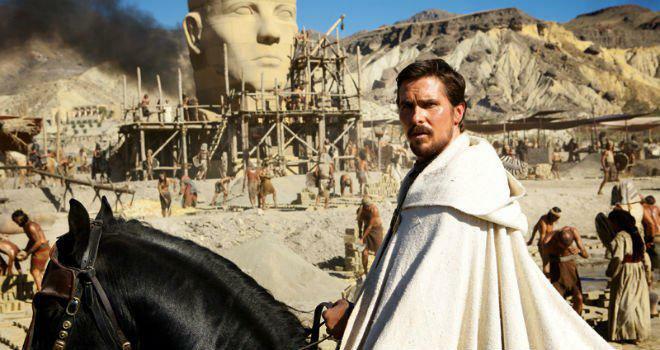 Exodus Gods and Kings Trailer: Ridley Scott and Christian Bale bring the story of Moses to the big screen (VIDEO). Ridley Scott’s last movie, The Counselor, was either a laughably stilted thriller or misunderstood masterpiece, but it was undeniably a departure from his usual work. The director’s new film, Exodus: Gods and Kings, just released its first trailer, and it seems to tread much more familiar ground for the man behind Gladiator and Kingdom of Heaven. The film tells the story of Moses (Christian Bale), including the 10 plagues and ensuing exodus of the Jews from Egypt. It’s worth noting that Scott’s Egypt is mostly comprised of white people: That’s nothing new for Hollywood blockbusters, but here the effect is jarring because none of the main actors—Bale, Sigourney Weaver, and Joel Edgerton, to name a few—look remotely Egyptian, even while bedecked in intricate costumes and makeup. Bale, who also turned down the title role in Darren Aronofsky’s Noah, looks less like an ancient prophet and more like Christian Bale with some hulking armor and a dab of eyeliner. Granted, these are all glancing impressions. The cast’s enormous talent could well compensate for the distracting lack of realism, and the Exodus story is just the sort of epic narrative that Scott loves conjuring on screen. Time will tell; Exodus is out Dec. 12.